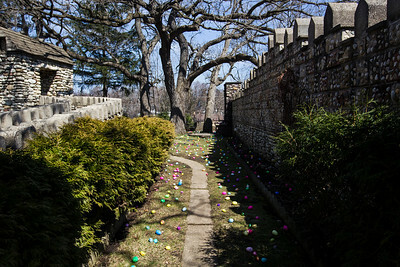 Sarah Nader- snader@shawmedia.com Nearly 5,000 eggs were hidden for local children at the annual Easter Egg Hunt at Bettendorf Castle in Fox River Grove Saturday, April 4, 2015. 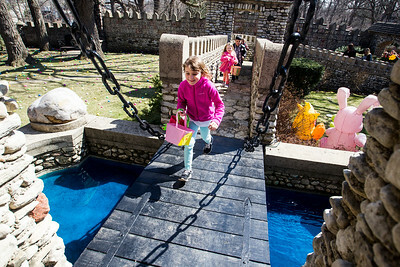 Sarah Nader- snader@shawmedia.com Skylar Prio, 6, of Cary hunts for eggs while attending the annual Easter Egg Hunt at Bettendorf Castle in Fox River Grove Saturday, April 4, 2015. Nearly 5,000 eggs were hidden for local children, a balloonist was on site, sweets and snacks were available at the event along with a visit from the Easter Bunny. 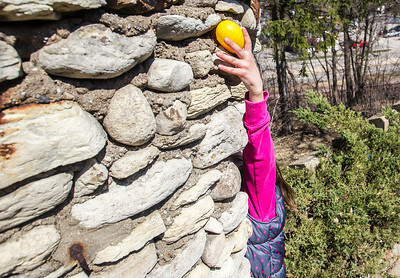 Sarah Nader- snader@shawmedia.com A girl hunts for eggs while attending the annual Easter Egg Hunt at Bettendorf Castle in Fox River Grove Saturday, April 4, 2015. Nearly 5,000 eggs were hidden for local children, a balloonist was on site, sweets and snacks were available at the event along with a visit from the Easter Bunny. 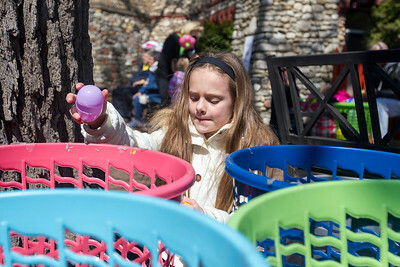 Sarah Nader- snader@shawmedia.com Olivia Koehler, 9, of McHenry unloads her candy from her collected eggs while attending the annual Easter Egg Hunt at Bettendorf Castle in Fox River Grove Saturday, April 4, 2015. Nearly 5,000 eggs were hidden for local children, a balloonist was on site, sweets and snacks were available at the event along with a visit from the Easter Bunny. 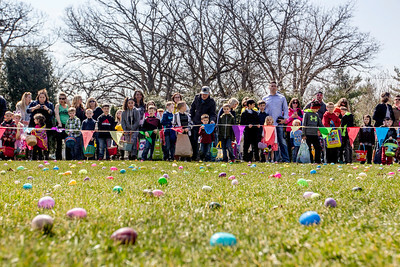 Sarah Nader- snader@shawmedia.com Children line up to hunt for eggs while attending the annual Easter Egg Hunt at Bettendorf Castle in Fox River Grove Saturday, April 4, 2015. Nearly 5,000 eggs were hidden for local children, a balloonist was on site, sweets and snacks were available at the event along with a visit from the Easter Bunny. 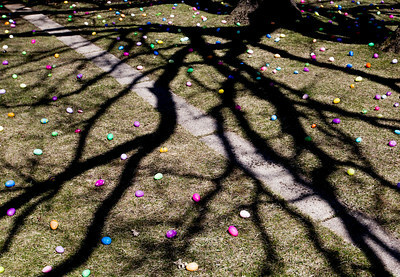 Sarah Nader- snader@shawmedia.com Logan Wall, 3, of Fox River Grove hunts for eggs while attending the annual Easter Egg Hunt at Bettendorf Castle in Fox River Grove Saturday, April 4, 2015. Nearly 5,000 eggs were hidden for local children, a balloonist was on site, sweets and snacks were available at the event along with a visit from the Easter Bunny. 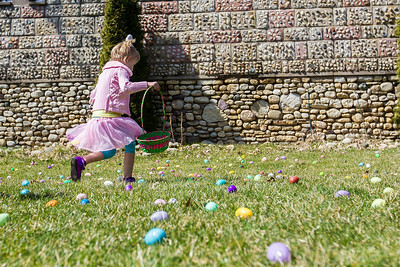 Sarah Nader- snader@shawmedia.com Clairwyn Steward, 4, of Crystal Lake hunts for eggs while attending the annual Easter Egg Hunt at Bettendorf Castle in Fox River Grove Saturday, April 4, 2015. Nearly 5,000 eggs were hidden for local children, a balloonist was on site, sweets and snacks were available at the event along with a visit from the Easter Bunny. 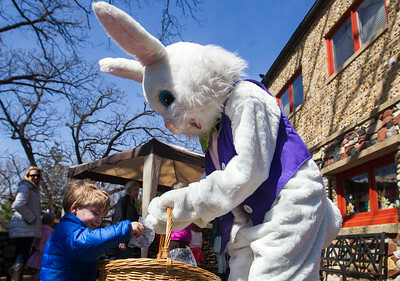 Sarah Nader- snader@shawmedia.com Grayson Frank, 3, of Fox River Grove gets a prize from the Easter Bunny while attending the annual Easter Egg Hunt at Bettendorf Castle in Fox River Grove Saturday, April 4, 2015. Nearly 5,000 eggs were hidden for local children, a balloonist was on site, sweets and snacks were available at the event along with a visit from the Easter Bunny. 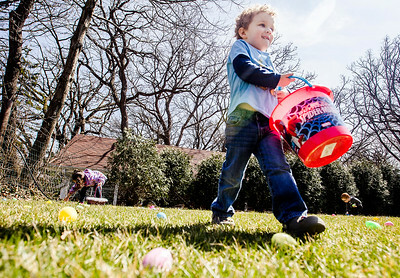 Sarah Nader- snader@shawmedia.com Jacob Blanken, 5, of Crystal Lake hunts for eggs while attending the annual Easter Egg Hunt at Bettendorf Castle in Fox River Grove Saturday, April 4, 2015. Nearly 5,000 eggs were hidden for local children, a balloonist was on site, sweets and snacks were available at the event along with a visit from the Easter Bunny. 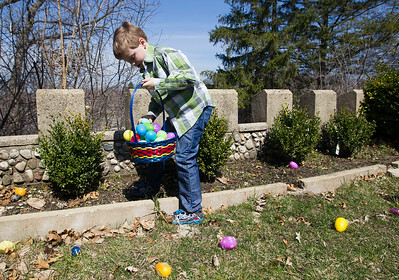 Logan Wall, 3, of Fox River Grove hunts for eggs while attending the annual Easter Egg Hunt at Bettendorf Castle in Fox River Grove Saturday, April 4, 2015. Nearly 5,000 eggs were hidden for local children, a balloonist was on site, sweets and snacks were available at the event along with a visit from the Easter Bunny.